How to borrow and return books. 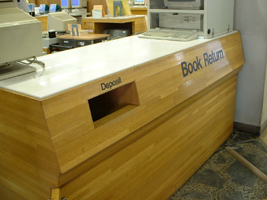 Please use self-checkout machine on the first floor of the Main Library to borrow books. Follow the instruction on the screen. You can't borrow any books when you hold overdue books. Please come to the counter on the first floor of the Main library if you'd like to borrow the books you can't use the machine. Course reserve books：On the day, 1 day or 3 days. If you have an overdue book, you cannot borrow other books newly. If you have returned your overdue book, you can borrow books, even if your overdue fine is not paid yet. Books are recalled, regardless of loan period, when they are designated as course reserve. Please return books you borrowed to the following place. Books found in other places might not be regarded as returned. If you cannot bring checked out books by due date, you can return books to the Document Supply Center by registered mail or by parcel delivery service. 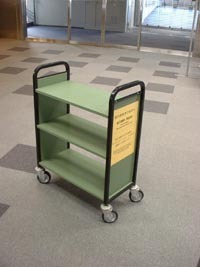 Please put books that are used in the Library(not borrowed) on return trucks. If you return to wrong place, it's very difficult to find out. Please DO NOT put them back to shelves by yourself. You cannot borrow books newly if you hold overdue books. Also, following overdue fines are set. Please pay by "Shoshi" at the Document Supply Center. You can check your overdue records at MyLibrary. Please confirm the amount of overdue fine before you buy "Shoshi".We recommend ICU students to pay overdue fine once a term. ICU students do not need to pay every time they return overdue books. You can check the due dates on MyLibrary . Reservation can be put on borrowed books via OPAC. 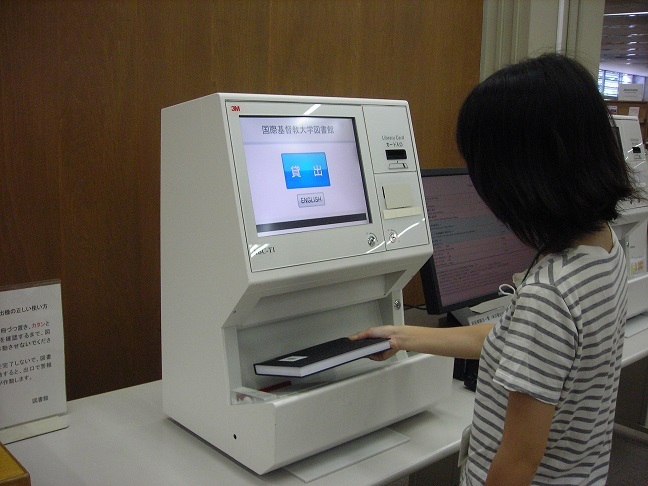 When books are returned, an email notice will be sent to your ICU domain e-mail address e.g.,(cXXXXXXx@icu.ac.jp). Books will be kept at the Document Supply Center for 3 days(for ordinary books); 1 day(for Course Reserves.) On the day Course Reserve Books cannot be reserved in advance. You can also use MyLibrary to check whether requested books are ready to be borrowed or not. Please use self-checkout machine to renew due dates. It's the same way as checkout. However renewal may not be done, if a reservation is placed by other users. All ICU CLA and GS Master's degree students and Library Friends can renew on MyLibrary at once. Doctoral students can renew as many times as they would like on MyLibrary, if no one makes reservation them. Special service for undergraduate students from the fourth year up and all graduate students.Books needed for thesis writing can be borrowed for longer loan period. Special borrowing for thesis writers service is available at the Document Supply Center. 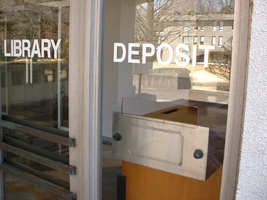 You can check your current Loans, Reserves and Overdues in MyLibrary. Please click "Loan and Reservation Status" after log-in to use your MyLibrary account to check your current Loans, Reserves and Overdues. Here you can check your information concerning your library use, such as the due dates of titles you are borrowing and how much overdue fines you need to pay.